The members of NPT should be cooperating with each other to use nuclear energy peacefully, Secretary of Iran's Supreme National Security Council Saeed Jalili said, Press TV reported live. Speaking at the press conference in Istanbul, Jalili thanked the neighboring country of Turkey for hosting another round of talks with EU foreign policy chief Catherine Ashton. "Under the basis of clear logic and through initiatives, on regional and international levels, Iran held several rounds of talks with the world powers," Jalili said, further speaking about the outcome of these talks. "In particular after the Moscow talks, Iran presented a comprehensive plan, and we expected the opposite side to respond to this plan. It took them 8 months to provide us with a response," Jalili said. "And in the end they presented us their proposals at the Almaty 1 talks." Jalili noted that Iran has voiced its preparedness, and provided the P5+1 group with a response in less than a month. "Iran has said that the country is prepared to have some agreements with respect to the previously mentioned comprehensive plan, and actually take some specific steps," he noted. According to Jalili, after two days of talks at Almaty 2, the opposing side came to conclusion that the members had to consult with their capitals. "So those few days were prolonged to 40 days, until Ms. Ashton announced readiness to hold talks," Jalili responded. Iran's top nuclear negotiatior said that the P5+1 group said there should be steps taken forward, to which Iran responded to have some balanced measures taken before the actual steps. "P5+1 rejected Iran's preposition, and if the opportunities are not used, they will be lost," Jalili said. Speaking of the Iran-IAEA talks, Jalili described them as "useful", noting that overall the talks were "good and lasted for several hours". "There was a very good discussion held between Iran and IAEA. This indicates that today Iran, on the basis of clear logic, is prepared to continue cooperation, defending the rights of the Iranian nation," Jalili noted. He underscored that Iran respects and welcomes the cooperation with NPT, and mentioned that Iran has its right to use peaceful nuclear energy and enrich uranium. Answering the question about the upcoming presidential elections in Iran and how there are no movements in the nuclear talks due to that, Jalili said that the person that is elected as Iran's new president would strongly defend Iran's rights. "There is no difference for Iran, as we are ready to hold nuclear talks before and after the presidential elections," he said. 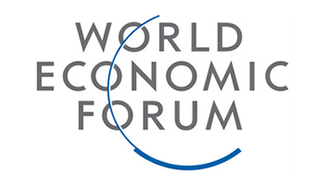 "The world powers have to accept Iran's legitimate rights. The international community defends the rights of Iranian nation, and any measure against this position will be of no use," Jalili noted. 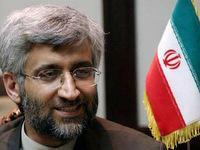 On May 15, Jalili said in Istanbul that Iran would not change its nuclear stance after the June presidential election.